Solar energy has long been considered one of the cleanest, least invasive form of sustainable energy available to us. Yet as of 2016, only 1% of energy produced by U.S. electric suppliers is generated by solar power. However, even that small percentage provides major benefits, including reducing the amount of carbon dioxide emissions by 35 million tons. But if solar energy is such a great source of clean power, why don't more electric suppliers utilize it? Simple. The cost. Solar energy can be expensive in the short term. In fact, that is the primary reason most homeowners choose traditional electric suppliers over this green energy option. But the news isn't all bad. As more and more Americans realize the importance of renewable energy sources, solar and other forms of green energy are becoming much more accessible. If you're considering investing in solar energy suppliers but are concerned about the cost, here are three different ways to make solar power more affordable. Even though the prices of solar panels themselves are dropping like a rock, solar installation for a single home can cost tens of thousands of dollars. While the costs for solar paneling is restrictive for some homeowners, there are programs that help to make owning and installing your own solar panels more affordable. The largest is the Residential Renewable Energy Tax Credit, which offers a 30% rebate. There are also a number of financing options that can help you spread the cost of owning your own solar panels out over the equipment's lifetime. Just like you make payments on your car loan or mortgage, these options let you invest in the future of green energy. If the upfront cost of installation is too high, you can consider leasing solar panels. While leasing does not qualify you for the same tax credit, it allows you to have access to clean, renewable energy at an affordable price. Another perk of leasing your solar panels is that all maintenance is the responsibility of the company who is leasing you the panels. If you are uncomfortable with technology, and would prefer someone else maintain your equipment, this option might be for you. This is a particularly attractive option for people who own several acres or more of unused property, which may be prime real estate for a solar array. Solar Gardens are a popular option for groups of people who might not be able to afford solar on their own. In this co-op model, individual landowners, small towns, and municipalities pool their resources and invest in community-based solar harvesting equipment. An outgrowth of the cooperative culture, these gardens are especially effective for people who might not be able to afford their own solar panels, or who are prevented by trees or building limitations, like many renters and urban apartment dwellers. 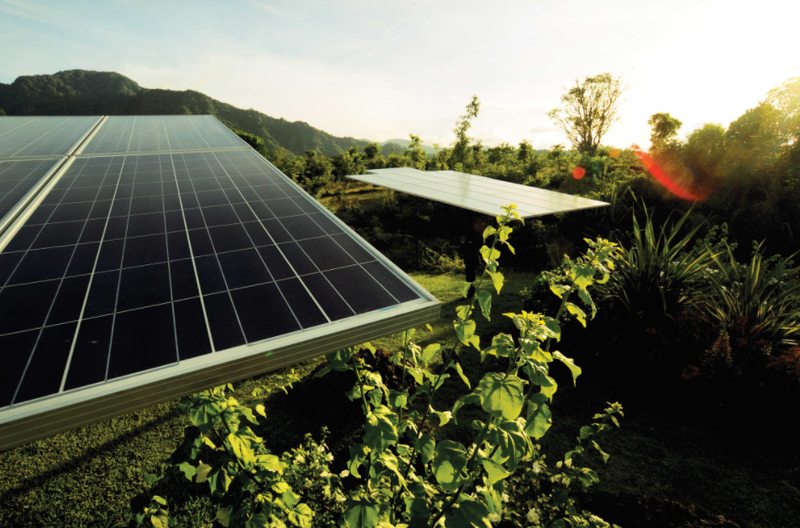 Typically, a Solar Garden will work on a credit basis, meaning that the members of the solar garden will receive credits for their share the electricity produced at the garden, which will be deducted from their electric supplier bill. Solar Energy is not as difficult to harvest as it has been in the past. And, hopefully, in the next decade we will see it become even more accessible to a wider range of people. 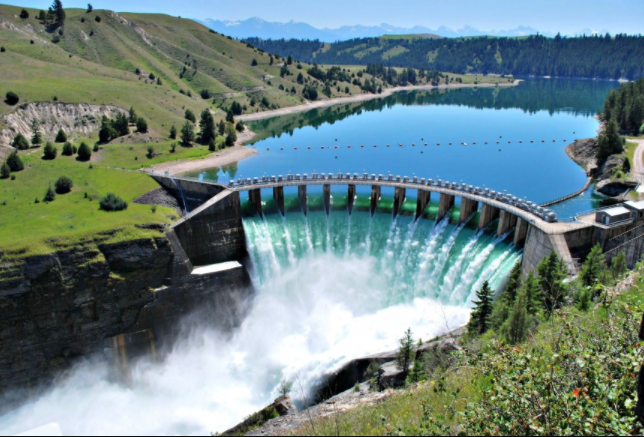 Hydropower has been harnessed by mankind dating back to the first waterwheels invented and implemented by the ancient Romans. In 2015, hydropower represented only 6% of the energy generated in the United States and 46% of the power generated by renewable energy sources. There are many reasons why hydropower is less available than it could be. One of the main reasons is that utility suppliers are still heavily regulated in many states. In deregulated energy states, consumers often have the option of selecting renewable energy sources, using consumer choice to force an energy company to diversify more. But what can you do if you live in a regulated energy state or your local electricity company has no green options? One good option might be building your own Micro Hydro system. Micro Hydropower is a low-impact form of harnessing moving water to generate enough clean energy to power either a single home or several closely connected modern homes. It works similarly to a conventional hydroelectric system: water passes through a turbine, which spins a generator to produce electricity. A sufficiently powerful stream and approval from your local authorities are the first two must-haves for a home micro hydro set. Then comes the matter of the intake, building an inlet for your system which funnels water in from the stream. Other items you will need are a battery bank, a power inverter, and a transmission line leading to your home or other point of use. The biggest advantage is the regularity of the power source. Unlike solar or wind energy, there are few regular disruptions to the power generating like a cloudy or windless day would be, respectively. This also allows for a smaller battery bank, and more consumptive energy uses. Another advantage is the price. While the initial cost of setting up a home micro hydro system can range from $1,000 to $20,000, over the life of the unit it will prove to be a cheaper, more reliable method for generating energy. Because hydropower is highly site specific, you must not only live in an area with powerful enough streams to spin the turbine, but you must also contend with local regulations, even if you own the land. There is also the danger of drought or flooding. While drought would render your hydropower system moot, enough flooding could cause severe damage to your equipment. Sustainable Energy can be hard to find if you don't live in a deregulated energy state. Building your own micro hydro system is just one of the many ways you utilize renewable energy sources to gain energy independence.